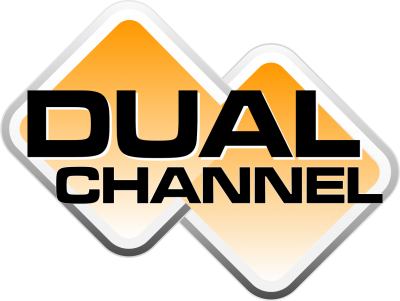 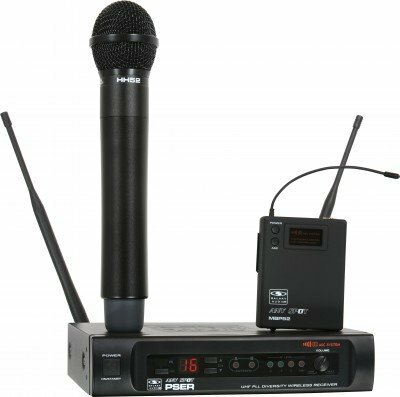 The EDX Series is a dual channel wireless system. 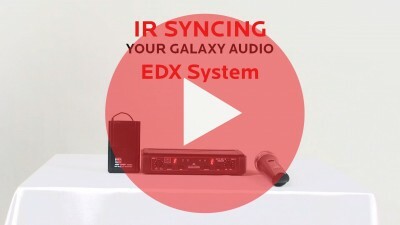 The EDX features 2 internal antennas (1 for each receiver), 16 selectable channels on each receiver, and IR Sync from receiver to transmitter. The EDX has 2 discreet male XLR outputs and 1 combined 1/4" output on the back of the unit. 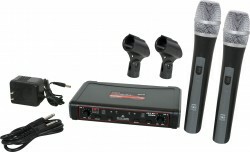 The output is controlled by a volume control for each receiver, located on the front of the unit. 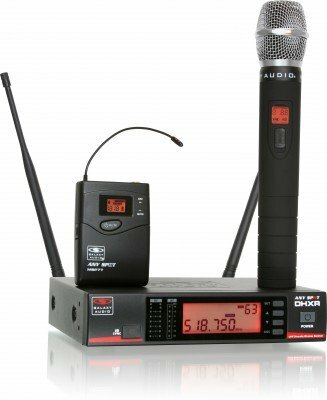 The EDXR can be used and will sync with either the HH38 handheld or the MBP38 body pack transmitters. 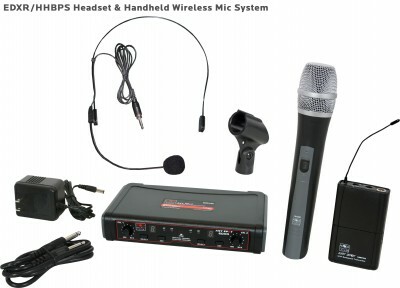 Systems with the MBP38 body pack are available with either a lavalier, or headset. 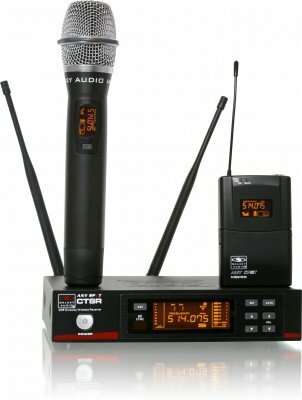 Both transmitters feature an on/off switch and are powered by two “AA” batteries. 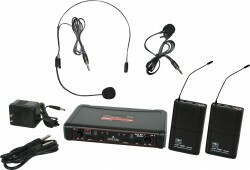 The MBP38 body pack transmitter also features a Mic/0/-10 selector switch for various input level sources. EDXR/HH38 - This system includes the EDXR Receiver and 2 HH38 Handheld Transmitters. EDXR/38SS - Headset Microphones: Uni-Directional. This system includes the EDXR Receiver, 2 MBP38 Body Pack Transmitters, and 2 HS13-UBK Headset Microphones. 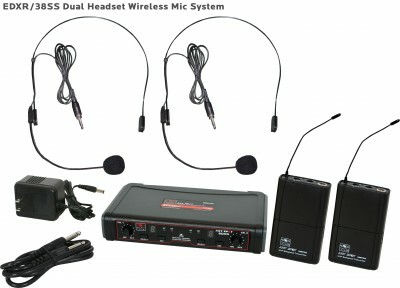 EDXR/38SV - Headset and Lavalier Microphones: Uni-Directional. This system includes the EDXR Receiver, 2 MBP38 Body Pack Transmitters, the HS13-UBK Headset Microphone, and the LV13-UBK Lavalier Microphone. EDXR/38VV - Lavalier Microphones: Uni-Directional. 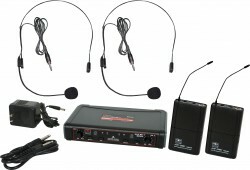 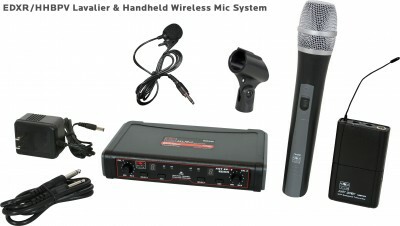 This system includes the EDXR Receiver, 2 MBP38 Body Pack Transmitters, and 2 LV13-UBK Lavalier Microphones. 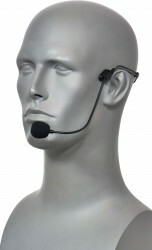 EDXR/HHBPS - Headset & Handheld Microphone: Uni-Directional. 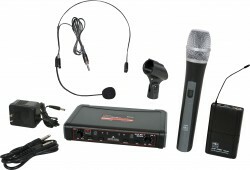 This system includes the EDXR Receiver, the HH38 Handheld Transmitter, the MBP38 Body Back Transmitter, and the HS13-UBK Headset Microphone. 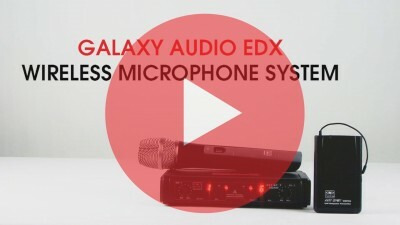 EDXR/HHBPV - Lavalier & Handheld Microphone: Uni-Directional. 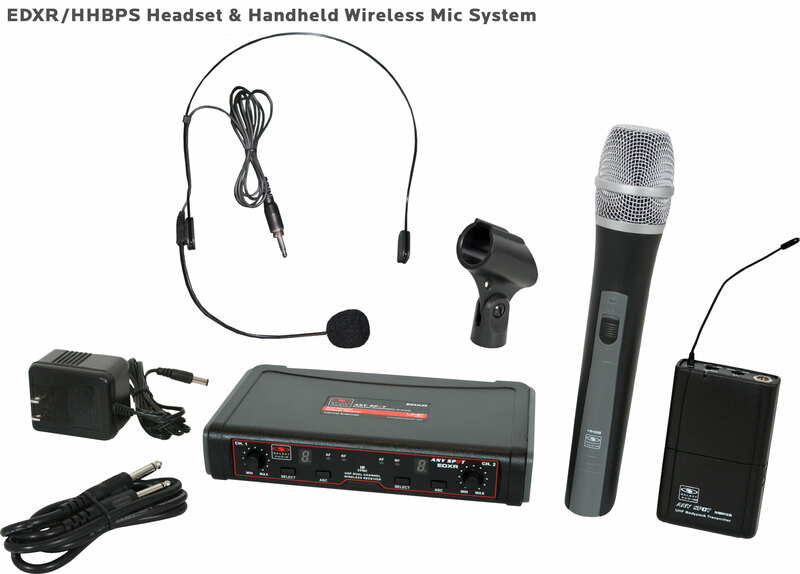 This system includes the EDXR Receiver, the HH38 Handheld Transmitter, the MBP38 Body Back Transmitter, and the LV13-UBK Lavalier Microphone. 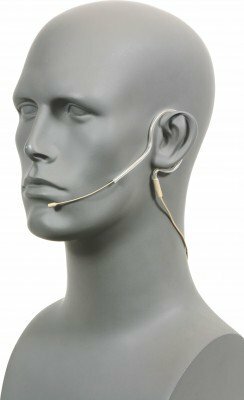 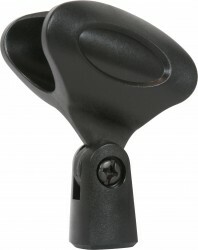 This uni-directional headset comes as a standard option with the EDX Headset System. 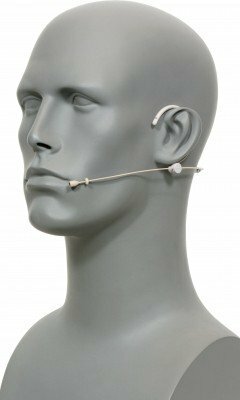 It's comfortable wrap around design goes over both ears and helps ensure that this mic will stay in place. 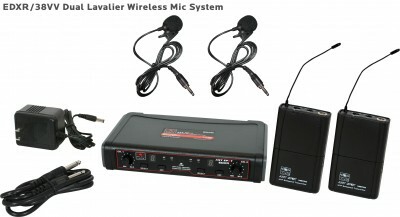 This uni-directional lavalier mic comes as a standard option with the EDX Lavalier Systems. 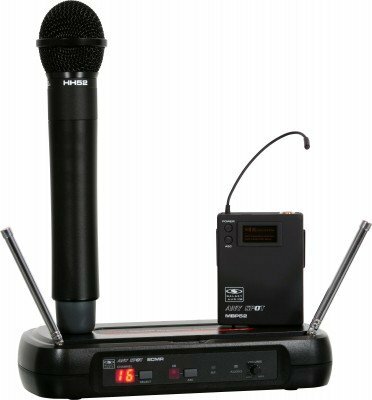 Antenna Distribution System expands wireless microphone systems only, by splitting one pair of antennas to allow up to four single channel receivers to use the same antennas. 3dB gain compensates for any insertion loss and increases receive signal range (up to 275ft). Low-loss 50 ohm BNC connectors for mounting antenna. 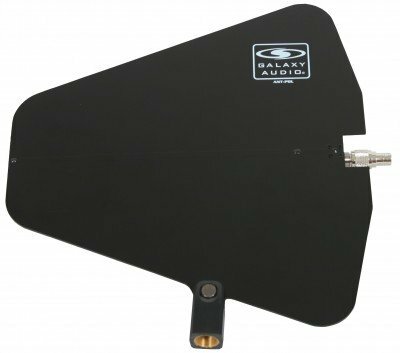 Includes rack ears for mounting rack space (1RU) Distributes the antenna for up to 4 Wireless Microphone Systems (PSE, CTS, and DHX Series). 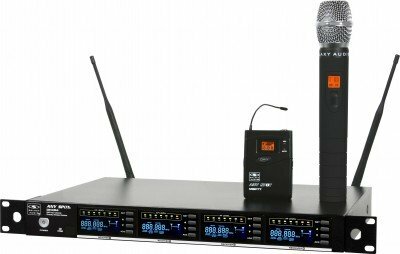 BNC connectors, single rack space, combines power for up to four wireless receivers as well. Note: Only works with wireless microphone receivers. 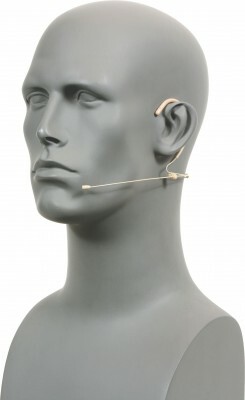 Does NOT work with In-Ear systems. 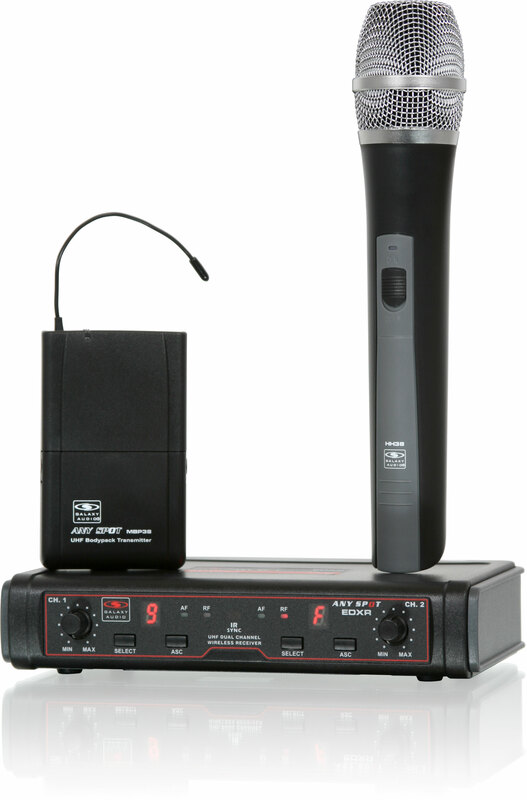 Under Typical Conditions 200' (61 m), actual range depends on RF signal absorption, reflection, and interference. 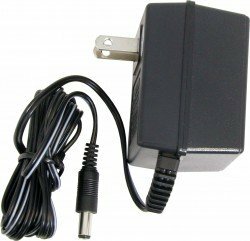 14º F to 122º F (-10º C to 50º C), battery characteristics may limit this range. 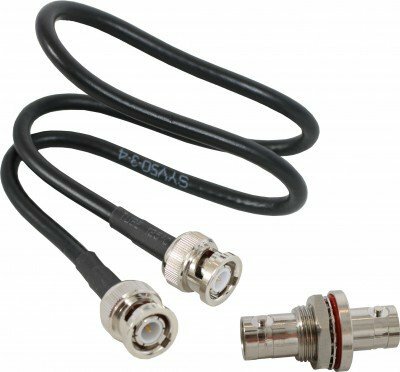 This Includes: One BNC Connector (Part# CN-BNCPM) and One 19.69" (50 cm) RG58 Cable (Part# EXTBNC) for front mounting antenna.